Is your church really safe? Is your church safe for you to be you? Can you be the you that doesn’t have it all figured out? That has more questions than answers, some days? Can you be the you that you are on the inside that nobody else sees? The you that wonders how in the world a God that loves justice could also love you? The you that you’re ashamed of? Is it safe to for you to bring your doubts? Is it safe for you to bring the full force of these and not be shunned? Not be made to feel “less than”? Do you lead the way in vulnerability? Because if you don’t, they won’t. If your current church environment doesn’t afford you this luxury necessity, create it. If you’re waiting for someone else to give you the permission, you now have it. I’m granting it to you right now. Be you. And when someone else brings their junk, don’t take a step back. Take a step forward towards them and with them. Give grace, mercy, and patience. Give truth in love. Give space for continued exploration. If we have a Savior that died for us, and was the ultimate example of welcoming sinners, we as the Church should be the most welcoming environment on earth. The safest place to still be “in process.” The place where when you join our community you instantly feel at home. You may not be able to put your finger on it, but our people should feel like your people. Our group, your group. Our home, your home. Our grace, your grace. Your story, our story. Jesus was a “friend of sinners.” (Matthew 11:18) Are we? Getting your small group to like you isn’t something you may have explicitly set out to do. If you did, you’re pretty self-centered. And there’s a great chance that nobody really likes you. While you may not have set that out as a written goal though, it’s on the back of your mind whether you’re a leader or a group member. Don’t lie. You want to be liked. And that’s not a terrible thing. If you didn’t care what others thought of you, you’d probably be a jerk. Caring what others think (while not being dominated by that) shapes our responses, and helps us become more loving and generous. If you didn’t care what others thought of you, you’d dress like a slob and never shower. So please, please keep caring. If people genuinely don’t like you, and you’re a representation of Christ for them, then there’s a great chance you’re acting as a barrier for them to enjoying Jesus. It would be wise for us to not be a barrier. How to you get your small group to like you? Well you can start by taking a shower before group. Then, let’s get to the more important things. Listen way more than you talk. When you think you’ve listened too much, you’ve just started the process. You’ve got a story of loss. Victory. Defeat. One that makes much of God, and His power to change your heart and shape your journey. Share that. It’s a gift. Nobody likes a fake leader. We all want to know that the person we’re following is the person we think we’re following. Be real and open and honest with your struggles and victories. Show up and engage. Week after week after week. On the weeks that you feel like going, show up. On the weeks that you don’t feel like going, show up. On the weeks when you’re too busy, show up. Consistency builds trust. Call on their birthday. Offer to watch their kids so they can go on a date night. Buy them a book that’s made a difference in your life. Give grace when it’s not deserved. I know, I know…grace “deserved” isn’t really grace. But there are times when you give grace and it’s expected. But when it’s not deserved in the least. When it hasn’t been earned. When everybody in the room expects you to go 100% truth in the moment…go 100% grace. Remember their birthdays and anniversaries. Go ahead and plug them into your calendar now, and set yourself a reminder. Trust me…they’ll notice this. 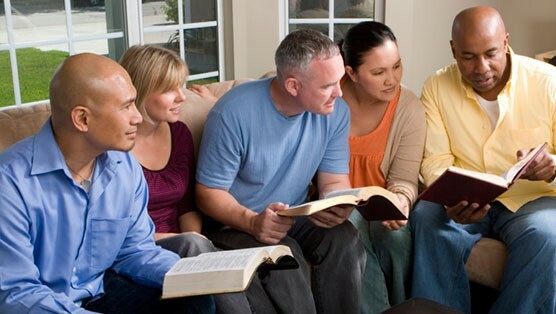 Don’t just sit in your big comfy chair and drop theological bombs on your group. Listen well, and share a well-timed, well-pointed, well-applied truth. One that’s informed in the moment, and that walks the nuances of a deep relationship. You can’t give everything to everybody. But you can give significant, needed resources, to your group members. In a way that’s much faster, more efficient, than applying for aid from government, or even parachurch, organizations. If you’re funny, be funny. If you’re contemplative, be contemplative. If you’re patient, be patient. If you’re the life of a party, be the life of the party. If you’re an intellectual, be an intellectual. Be the you God created you to be. Anything else that you do that engages your group to enjoy being around you? I never wear my shoes in the house. Shoes bring in dirt. On top of that, I’m more comfortable without them on. My at-home routine when I finish the day is to take my shoes off and put them in the basket beside the front door. After that, I feel like I can relax. I don’t choose to take my shoes off because I feel like I have to. Or because my wife expects it. Or because it’s something I’ve done since I was a child. I do it simply so I can relax. Just a few weeks ago, we started a small group in our home. When I came in that Tuesday evening before people started arriving, I continued my normal routine. I took my shoes off, placed them in the basket, and started getting our house ready. 30 minutes before we started, I got my shoes back out of the basket. I put them back on my feet, tied them, and wore them until everyone in our small group had gone home for the night. Then I went back through my routine. I took my shoes off, placed them in the basket, and sat down on the couch. I wore my shoes to help people feel welcomed. a. Not. And feel guilty. b. Take them off. And resent you for it. So I chose to wear my shoes, and help people feel comfortable coming just as they are. Not having to bend to the rules of our family, or change their routine to fit our culture. I wanted them to feel like their wasn’t a hurdle they had to jump over, that they don’t have to at their own house, to engage in our group. If keeping my shoes on helps someone feel more comfortable, welcomed, and loved, I’ll wear my shoes every week. (Tweet that) Small group is a blend of cultures, values, and traditions. Some people value keeping their shoes on. If you want to love people well, go out of your way to serve them. (Tweet that) Surprise and delight. Make the best coffee in town. Let them sit on the couch nobody else gets to sit on. Let them eat off of the forks you reserve for special guests. Kindle the fire if it’s cold. Crank up the A/C if it’s hot. Open your home, open your life, and open your heart-shaping, will-bending, costly generosity (Re: Luke 14:12-14). How do you creatively welcome people into your life? I love writing. I do. I love crafting words to give structure to thought. I love painting a beautiful picture out of a seemingly mundane moment. I love capturing the essence of a season with a phrase. It’s hard work. And finishing the book is only the beginning of the process. For over a month, every day I’d get up at 5:00 a.m. and write. And write. And write. My goal was 1000 words, every day. Most days, I came up with 1000 words of pure garbage. Throw it in the trash. Control-A, Control-X. And move on. Because tomorrow was coming. And so were 1000 more words. And I didn’t have time for terrible words. Most days, some of those words would stick. Every once in a while, all 1000 would. Then comes the marketing. The “how in the world do I get this message to the world” thoughts flood your head. And just when you think the heavy lifting is done, you realize that nobody will have a clue that you’ve written a book unless you tell them. Simultaneously you realize that when you tell them, there’s the real chance you’ll come across as a jerky self-promoting sleaze bag who is only in it for himself. Which has never, ever, ever been my heart. 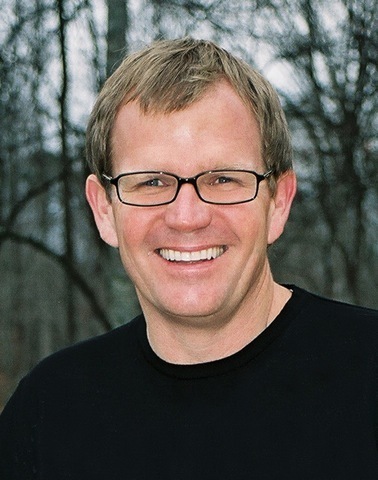 My friend John Morgan has been a great source of encouragement to me in this process. He’s helped me navigate the sleazy waters of self-marketing in a way that, I believe remains true to me. And maintains some sense of dignity. So here goes nothing. Book #1 is in the books. You can check out the full “press” release HERE. Or buy it below. While I was in seminary, I worked on a ship at the convergence of the Ohio and Mississippi Rivers. It was a different kind of ship than you might be thinking, though. You probably have in mind that I was on a tug boat. Or a transport/cargo ship. Or maybe even a swashbuckling pirate ship. But it was something different entirely. It was a coffee ship. We’d serve lattes to the most hardened, time-weathered ship captains around. As they boarded our ship after a long trip down the mighty Mississippi, we afforded them luxuries most ships didn’t. A warm toffee nut latte on a cold February morning. A shot of our strongest espresso on a lonely, nap-inducing, rainy Sunday afternoon. An iced caramel mocha on one of those oppressingly hot summer evenings. A steaming hot cup of the blackest, foulest, most bitter cup of black coffee money could buy. Midshipmen would gather around the bar and sing the songs of the sea, sloshing their caffeinated beverages to the rhythm of their off-key voices. Others would wearily wander to the front of the ship, taking in the city scape as the caffeine coursed through their tired veins, giving them energy they hadn’t felt in days. Warming them deep inside their souls. Preparing their hearts and their legs to continue their trek onwards to the next port more than 400 miles further downstream. It was the stories that made the job interesting. Hearing men tell tales of late-night storms that nearly wrecked their ship. Of having to make up time before their next destination. Of having to force men to walk the plank after stealing from the captain himself. Or it was just a mis-type that was overlooked by the publishers in my “final” manuscript (here’s a little info on the bonus section). A mis-type that was in the first paragraph of chapter 1. Good thing we read over it one more time. I’ll also walk through how to keep groups going, maintaining growth over time through coaching, curriculum, and continued spiritual growth. 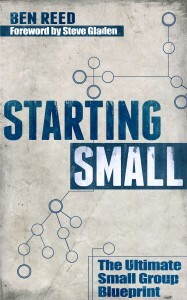 Starting Small also includes a bonus download section. It was originally going to be a part of the book, but the more I put in to it, the more I realized it was a separate resource that could stand on its own. My goal with this is to provide a helpful additional resource that answers a lot of the questions that folks normally ask about small groups, getting them started, and the processes and procedures to implement. And I’d love your help! Just answer one of the following questions in the comments section below. I’ll choose one person to send an advance reader copy of the book to. What questions about small group life would you want answered in a resource like this? What issue holds your small group back from achieving all you know it could be? This resource could make my life easier by including ________. What’s the most frustrating thing about your small group? I’ll choose one of these, and include the question and answer in the bonus section of the book. I’ll also email that person an advanced copy of the book. I’ve been asked so many times, since I’ve made the move to Long Hollow, if I like my role and enjoy the church. I answer with a resounding, “Yes!” Every time. Do you love your church? Why? North Point peeled back the curtain on what they do…and why they do it. They were generous, sharing the secrets they’ve learned over the last 17 years of ministry. I have been leading small groups for years, and I walked away with boatloads of ideas that I could implement. On top of that, the North Point team were incredibly gracious hosts. I really felt like an honored guest. Which is 100% a byproduct of my friend, Bill Willits, executive director of environments at North Point, and small groups afficionado. I sat down with Bill recently because I wanted you to hear from him why their conference this year is a must-go. 1. Why did you guys decide to do a conference? It wasn’t an easy decision to make because, first and foremost, we’re a local church. Our first priority is to do groups, not organize conferences about them. But the time was right. There are lots of conferences out there, but there seemed to be a void when it came to groups ministry. More than that, most conference presenters are thought leaders in their fields. While that is valuable, we think there’s something special about a conference for people doing ministry by people doing ministry. We had a hunch that other ministries would benefit from what our Groups team has to share. We also knew that our Groups team would benefit from the opportunity to rub elbows with other folks from all over the world doing groups ministry. So, re:group was born. 2. Who would be the “perfect” person to come to re:group? Re:group is for anyone who is trying to grow or start a groups ministry, as well as anyone just thinking about starting a groups ministry. Because we’re focused on how community is essential to life change, the conference can benefit a groups ministry of any size or at any stage. 3. What benefit will someone get out of attending? While we’ll spend some time talking about the whys of groups ministry, most of the conference is about the hows. Anyone invested in small groups is going to come away from re:group with a lot of practical information about how to do what they do even better. 4. Why should someone choose this conference over any other given conference? You know, we’re going to share what we’ve learned about doing groups ministry over the years, but re:group isn’t about North Point speaking from on high. We’re still figuring things out. We still have a ton to learn. Re:group is a conference where attendees can learn from us and from one another, while we learn from them. It’s just a great opportunity for ministry leaders from all kinds of backgrounds to come together and share their wisdom, knowledge, and experience. Plus, Buckhead Church is a great venue for a conference and we’re going to have a lot of fun. 5. Why attend this conference and not just read your book, Creating Community? First of all, we’ve learned and changed a lot since the book was published. The vision, mission, and values of our ministry haven’t changed but our model and programming have certainly matured. But more than that, one of the things that most excites me about re:group is the opportunity for attendees to interact with our Groups staff. They’re really great folks and they have a ton of accumulated knowledge and wisdom about creating a small groups ministry. Yes, read the book. But don’t miss the chance to connect with an amazing group of people who live and breath groups and who have helped us adapt, chance, and mature our groups strategy. 6. 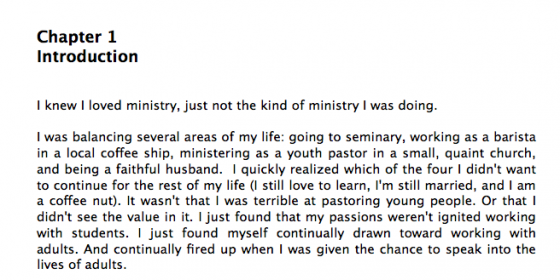 What area(s) of ministry will you be highlighting? Between the main sessions and the breakouts, we’ll cover a lot of ground—getting people into groups, eliminating barriers to community, building effective ministry teams and strategies, and even measuring how well you’re achieving your ministry goals. 7. If someone comes to the conference, and uses the code (whatever discount code we’re going to use for my blog readers), can they stay at your house during the conference and have you cook us breakfast, Bill? You really don’t want to eat my cooking. Seriously. And you’re a goofball. Just for the readers of this blog, and just until Monday, September 16th, they’re extending the early bird rate. Just enter the promo code: BenReedPromo. Original, right? $179 is a steal. You’ll walk away with information worth well, well more than that. Register HERE for the conference on October 21-22. 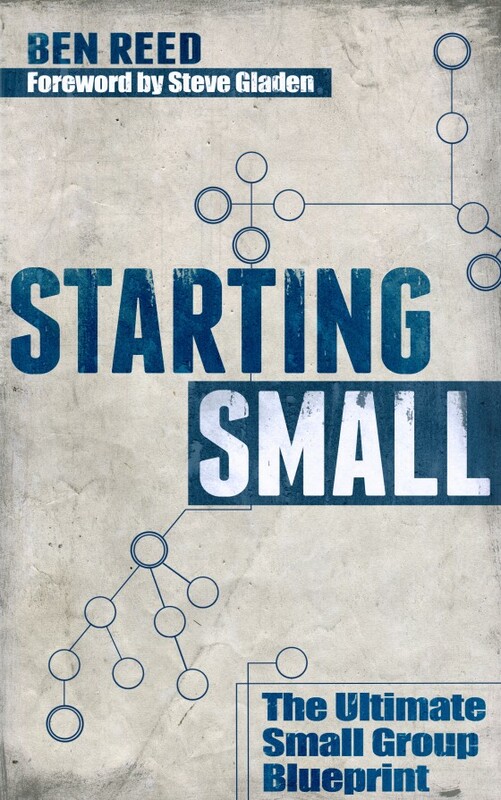 My forthcoming book, Starting Small: the Ultimate Small Group Blueprint has been sent off to the publishers, and they’re doing their editing magic. So I thought I’d get your feedback on the cover.